The parts of the Sun. 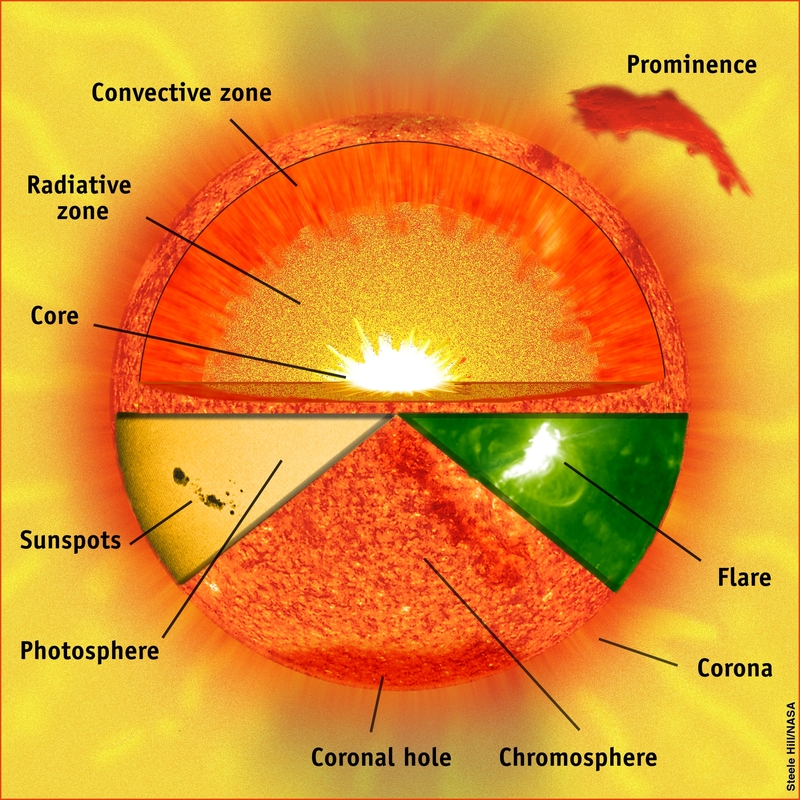 This gives a basic overview of the Suns parts. 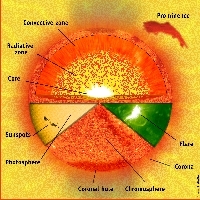 The three major interior zones are the core (the innermost part of the Sun where energy is generated by nuclear reactions), the radiative zone (where energy travels outward by radiation through about 70% of the Sun), and the convection zone (in which convection currents circulate the Suns energy to the surface). The flare, sunspots and photosphere, chromosphere, and the prominence are all clipped from actual SOHO images of the Sun.